Playing with a doll is all about imagination. Here are twenty creative craft projects to make play situations a lot more fun! They range from a doll bathing suit and beach bag made from a sock to a doll Halloween costume made from a stuffed animal. 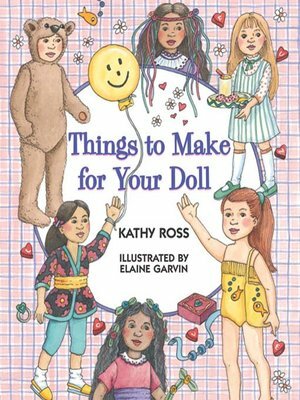 There are scrapbooks, a bulletin board, jewelry, hair ornaments, and more for kids to make for their dolls. And, as is always the case with a Kathy Ross craft idea, everything can be done at little or no cost, using just simple household items.